Data Brokers and Regulation: The Emerging Picture Can MoviePass’s Business Strategy Work … For Another Company? On a daily basis, there seems to be a new article in the technology news about the Millennial generation and how businesses need to respond to them as consumers and employees. 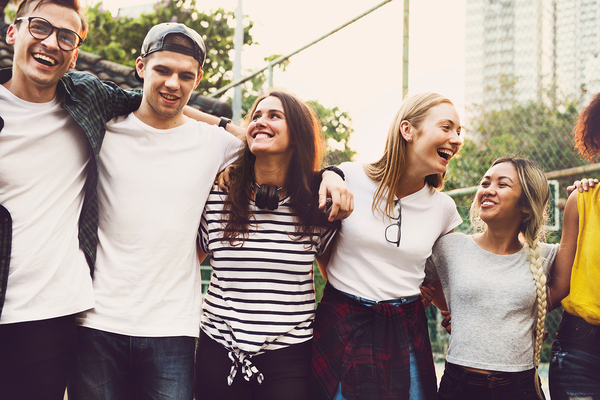 Well, it’s time to start thinking about those born after the Millennials – Generation Z – and how business strategy will need to change to respond to their personalities. So how to appeal to Generation Z? Let’s take a closer look. Technologically Adept. This generation has likely been using laptops, tablets, smartphones, along with those older technologies – desktop computers – from birth. Their older siblings and parents were using these gadgets, and the applications that have fueled their ubiquity in our lives, forever. Short Attention Spans. The tech-savvy Generation Z has also grown up with the ability to record TV shows and fast-forward through the commercials. If they don’t like a program or website, there are hundreds if not millions of other options. Needless to say, any company that wants to do business with the generation is going to need to catch their attention and hold it to get quick messages across. Self-Education. Need to know how to unclog a toilet, pick the best backpack, or choose an affordable vacation? For the Gen Zer, that means going online and watching a YouTube how-to video, perusing review sites or asking questions of their friends or other crowd-sourced platforms to get advice, skills, insights, and opinions. Do-Gooders. This is a generation that believes that anyone can have a positive impact on their communities. The desire to be a force for good drives many decisions, from where to go to college to where to work to which products to buy. Organizations that want to attract employees or customers need to understand that corporate values and mission matter to this generation. Rejection of Big Brands. Big brands that define quality and consistency among older generations elicit shrugs from Gen Z. The frequent deceptions and malfeasance reported about major brands have eroded this generation’s trust in big business. Online reviews and message boards contribute, too. And being a walking advertisement with a brand logo on a t-shirt or hat? No thanks. Careful Spenders. Gen Zers hear and see the stories of Millennials being socked with massive student loans and having to live at home. This generation is saving more and earlier than its predecessors. They want value for their money and are willing to forego some perks in order to save cash. Accepting Competitiveness. This generation is cutthroat when it comes to securing places at the best colleges and the best companies, but they are also deeply tolerant of differences of all types. A black man was their president and openly gay celebrities are in prominent positions. Each generation brings its own beliefs and experiences to bear on workplaces and markets. Generation Z is sure to be no different.